Old Country Buffet is a buffet restaurant that offers a delightful selection of food for breakfast, lunch and dinner. Customers can also find a variety of tasty treats for dessert. The buffet chain was founded in 1983. Currently, the company operates under the management of Ovation Brands, a big buffet company in the United States. As of now, the company has more than 100 restaurants in 36 American states. It hires thousands of people who show eagerness in working within a self-service restaurant setting. Old Country Buffet has more than 10,000 friendly and approachable employees to serve its loyal customers. 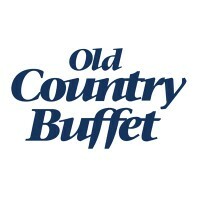 All Old Country Buffet employees receive amazing benefits aside from a competitive salary and a bonus plan. They enjoy perks like paid vacations, 5-day work week, free meals, and dental, health and vision insurance coverage, and 401(k) retirement plans. People love working for this company as it gives them unlimited opportunities to reach individual success. Besides, people who work for this buffet chain enjoy continuous training and development opportunities. How old do you have to be to work at Old Country Buffet? You must be at least 18 years old if you want to apply. Also, you should have a high school diploma or GED certificate to apply for an entry-level position. Cashiers: The cashiers are responsible for completing every transaction, beginning from a customer’s entrance in a buffet restaurant. Likewise, they mostly interact and connect with guests to meet their unique needs. The cashiers are trained to give warm and hospitable services to everyone. They help in maintaining the cleanliness within the restaurant as well. Food Bar Attendants: The food bar attendants keep the buffet restaurant fully stocked as they replenish the inventory in each shift. They keep their working area clean, tidy, and organized. Their main job is to ensure customers’ satisfaction by helping people if they have concerns or questions. The food bar attendants often interact with customers, though their position isn’t fully customer-centric. Servers: Servers always deliver outstanding customer service. They take the orders and answer the questions regarding the services and menu items. Typically, they interact closely with guests as part of giving the best customer service. At the end of their shift, they maintain and re-stock their work areas. Hosts/Hostesses: The hosts or hostesses are frontline employees. They present a good first impression of the company’s excellent service, high standards, and friendliness. They are expected to greet and welcome customers with a smile. Also, they let people know how long they’ll have to wait for their orders. The hosts or hostesses monitor the waiting list and enter customers’ name into the computer. Waiters/Waitresses: The waiters and waitresses greet customers and present the menu to them. Their main job is to ensure customers’ satisfaction. What they do is help people if they have concerns or questions about the menu. Also, they take and relay the orders to kitchen staff. After taking the orders, the waiters and waitresses prepare food garnishes and drinks. Line Cooks: Line cooks practice proper hand-washing techniques and they wear hygienic gloves for food preparation. Also, they share cleaning tasks that include cleaning their kitchen equipment. They use food-safe sanitizing solutions and other kitchen cleaning products. Their duties start and close with sanitation, hygiene, and food handling. Dishwashers: Dishwashers have many things to do in the kitchen. They wash the dishes, glasses, and utensils by hand or using a commercial dishwasher. Also, they clean tableware and maintain the cleanliness and orderliness in the kitchen each day. Dishwashers help in cleaning the food preparation facilities, including the equipment used. They also put the washed plates, utensils and glassware in the storage areas. Prep Cooks: Most newbie prep cooks focus in preparing vegetables and fruits because these are cheaper than fish, meat, and poultry. Salad greens are washed, cut, dried, torn, and refrigerated for a day’s service. Veggies are prepared through various food preparation techniques like steaming and slicing. Prep cooks deal with fruits as well through washing or peeling them when needed. Kitchen Managers: The kitchen managers take care of everything that occurs in the kitchen. They ensure that cooks, dishwashers, and servers follow the sanitation and food safety procedures. The kitchen managers supervise and discipline all entry-level employees assigned in the kitchen. Also, their job includes hiring and training new team members. Restaurant Managers: The restaurant managers handle different administrative duties and food service tasks that demand extensive training and experience. Their job involves payroll processing, licensing, inspections, food ordering, and other forms of paperwork. Also, the restaurant managers hire and train new employees to maintain their teams’ efficiency. Applicants may prefer applying through the web or in person at their preferred location. The buffet chain lets the candidates use any of these two methods for sending their application. Walk-in applicants may have the advantage as they can easily build rapport with the hiring managers. But, using the web-based application form lets the online applicants search for openings at different areas with ease. The application form must contain all necessary details. There should be no blank areas as much as possible. Once done, applicants must submit their application form together with their resume and application letter. Applicants will have more chances of getting hired sooner if their resume is comprehensive and updated. All new details should be added and presented correctly. Also, candidates must include a recent ID picture on their resume before sending it. The hiring managers will call the qualified applicants soon after reviewing the applications. As for the interview, candidates should dress properly, and arrive on time. Wearing casual business attire is always preferred when attending an interview. Old Country Buffet opens its doors for people with different backgrounds. The company provides everyone with the opportunity to work, earn and learn several life lessons. Also, all employees are provided with nearly unlimited opportunities for growth. The company hosts different promotions like Breakfast or Dinner, and Family Game Nights on Thursdays. Every location joins the Birthday Kids Club that grants kids a free meal yearly. Also, this buffet chain provides gift cards and other special offers. The company is known for providing guests with the best dining experience. The buffet chain is truly committed to providing everything from healthy, quality food to excellent service. These are all offered to customers at a good price. Old Country Buffet never fails to give back to the community. The company expresses care through implementing and supporting charity campaigns. The company is inviting creative and innovative team members to come up with new ideas for exciting initiatives. 1 How old do you have to be to work at Old Country Buffet?